For any B2B company with a large customer base, a key variable is the rate of Retention customers: How many customers buy upgrades or new releases and the end of the lifecycle. Companies with high churn typically spend vast sums on marketing to try to replace all those defectors. New research shows that they might be better served by smart strategies aimed at getting lost customers to come back to the fold. * These studies look at “win back” strategies. 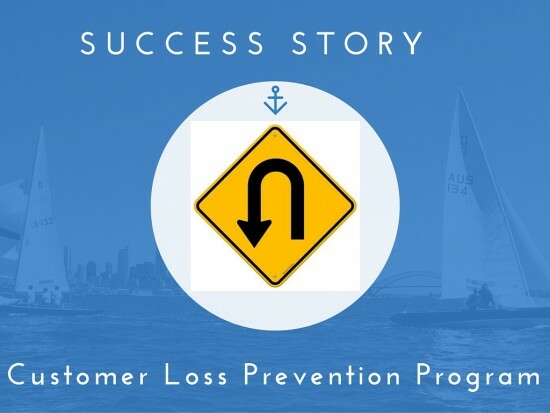 We at Celsius believe that ‘lapse prevention’ strategies are even better ! 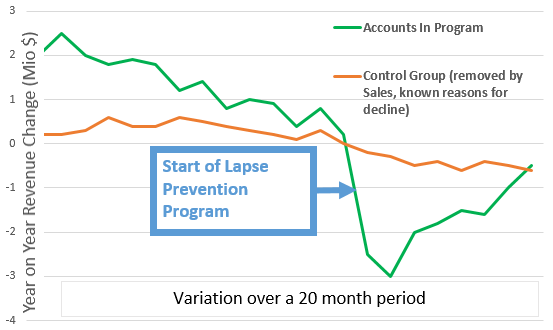 In principle, the technique is simple – we examine the behavior of customers who have ceased to purchase in order to try to find common trends in their behavior in the 6-12 months beforehand. We then apply these signals to current customers to identify those who exhibit similar behavior now – so remedial action can be taken. In practice, the most effective way of finding the right signals, assuming that there is a high volume of purchases available for analysis, is use sophisticated statistical models. We use both well-established techniques such as regression analysis (curve-fitting, basically) and decision trees (continuously dividing records into separate classes on a yes/no basis) and newer methods such PWE (Predictive Weight of Evidence – developed for police and related investigations). Ideally, we are aiming to generate a likelihood score, which can be combined with the historic revenue of the customer (or, better still, his potential lifetime value). Then potentially lapsing customers can be prioritized by a combination of value and likelihood of loss. They have demonstrated a need for the service, making them far better prospects than random names on a cold-call list. They are familiar with the company, brand and the offering and thus reducing the cost of marketing to them. Technology allows for the identification of early defection signals so marketing can go after the most profitable defectors with successful win-back offers. Our models have proven very successful for our customers. The first remedial campaigns, where selected records predicted to lapse were specifically not targeted, so as act as a control group, showed substantial revenue gains. Now our customer treats the model predictions as part of an ongoing process of sales and marketing actions, where potential lapsers are cycled through a process of being assigned to the remedial program and leaving it when either they actually lapse or the model shows that the risk has passed.